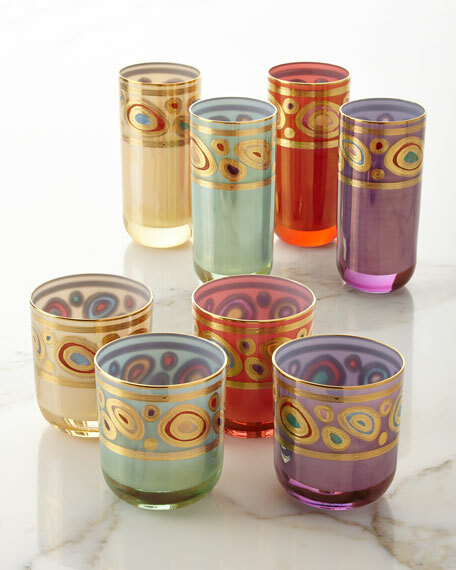 Four-piece handcrafted assorted colors highballs set. 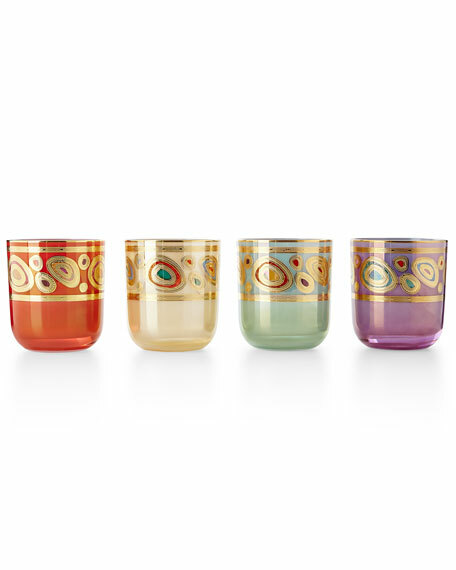 Glass with hand-painted 14-karat gold detail. 6"T; holds 12 ounces each. 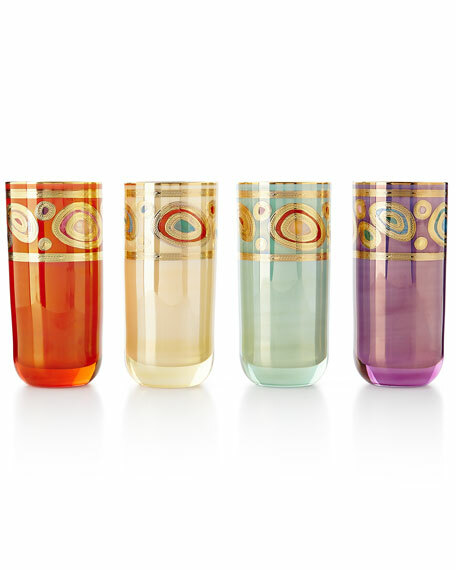 Four-piece handcrafted glass double old-fashioneds set. Assorted colors with golden accents.